Boasting a home said to have inspired William Shakespeare’s Macbeth and the first Scotch whisky to receive a royal warrant, Royal Brackla can truly claim its name is steeped in history. 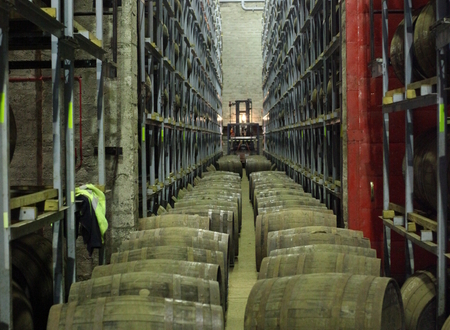 Affectionately known as ‘The King’s Own Whisky’, over its 200 years, the distillery has seen it change hands several times only to be mothballed in the 1980s. 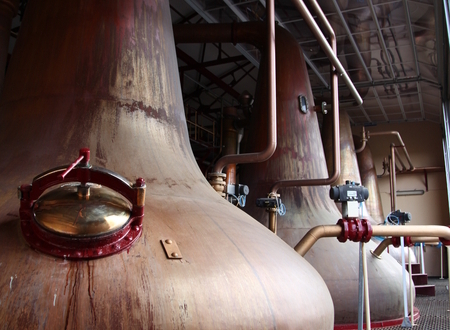 Following a resurrection in 1990 it now boasts a production capacity some 12 times larger than its original 1885. 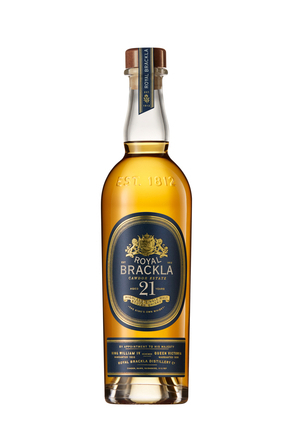 Brackla is the biggest distillery in Bacardi’s Dewar’s group in terms of output and as is the case with most other large Scotch whisky distilleries, only three of the five stages of whisky production are carried out at Brackla with the first stage, malting, and the last stage, maturation now off-site. 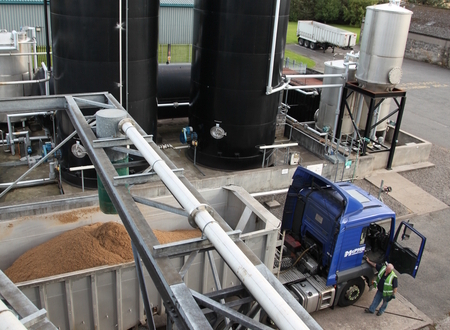 Barley, harvested from fields around Brackla and other locations in Scotland, comes locally from Bairds Maltsters in Inverness. 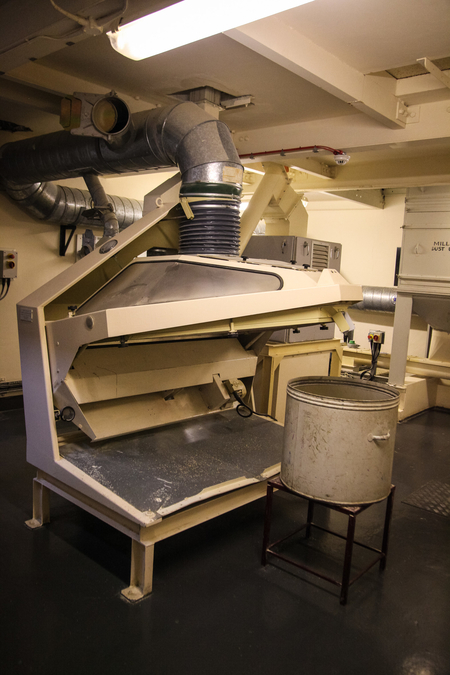 Brackla boasts a huge storage capacity and holds 32,000 tonnes of malt and some 212 tonnes of malt is mashed each week in 17 batches (12.5 tonnes per batch). 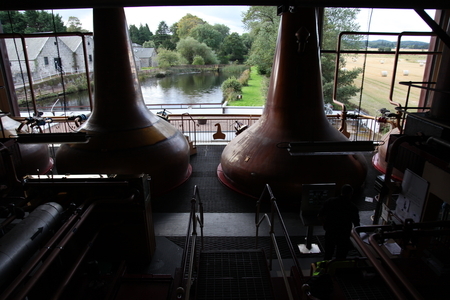 The mash tun at Brackla is a full lauter and water is added in three stages to the mash: the first at 75°C, then 80°C and finally at 85°C. 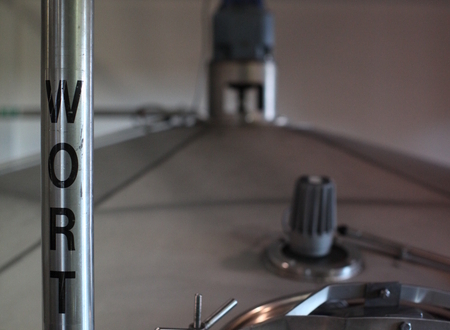 The sweet wort is drained, leaving the spent grains behind. 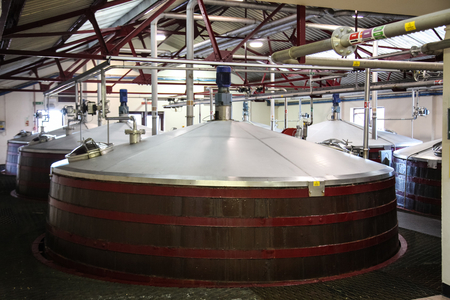 One of the unique aspects about Royal Brackla’s production is the clear nature of the wort and the mash operators endeavour to maintain this clarity. 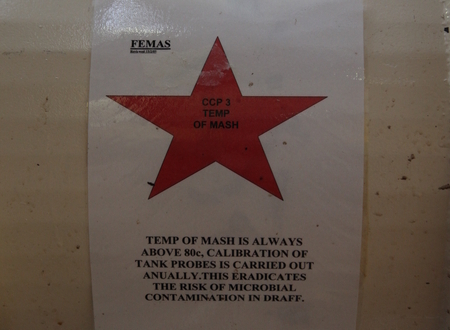 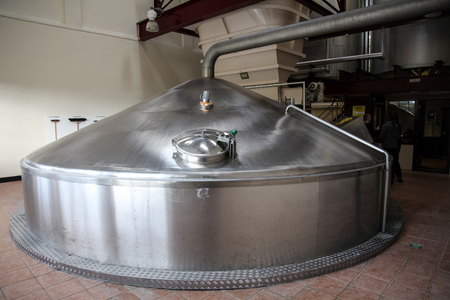 From each 12.5 tonne mash, 60,000 litres of wort goes onto the washbacks for fermentation. 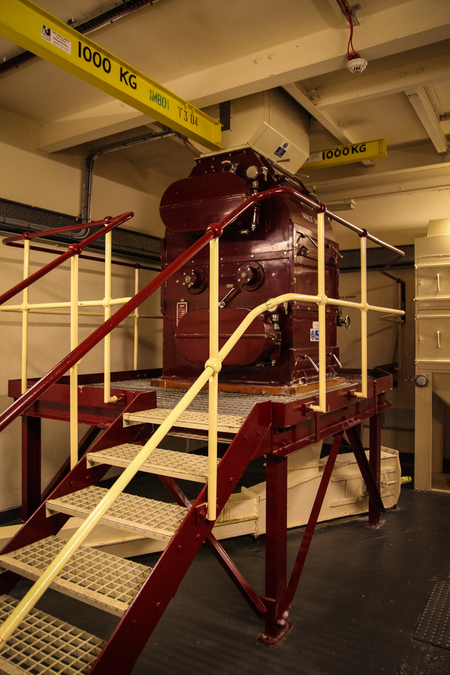 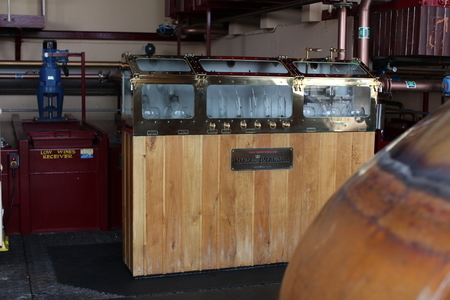 Originally the tun room had eight wooden washbacks but this was reduced to six larger wooden washbacks. 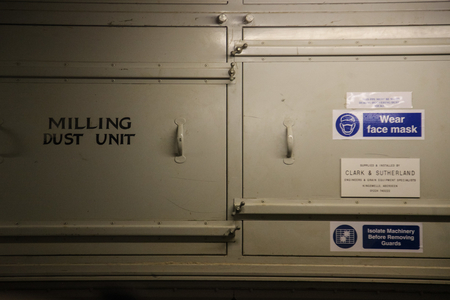 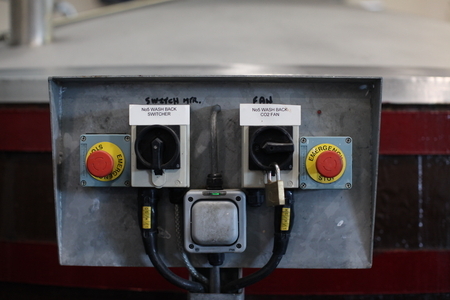 An additional two fully insulated external stainless steel washbacks were later added to allow a longer fermentation. 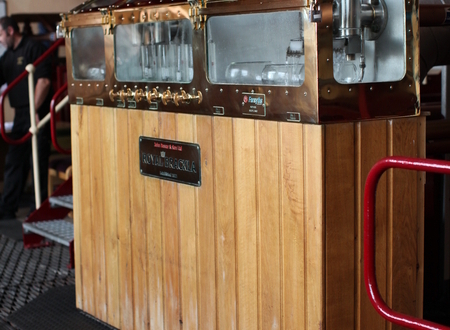 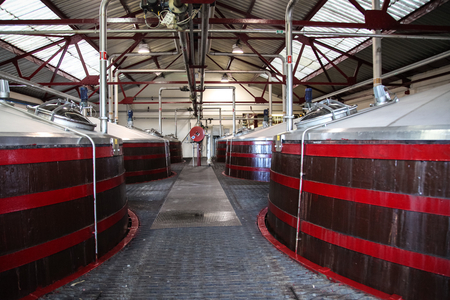 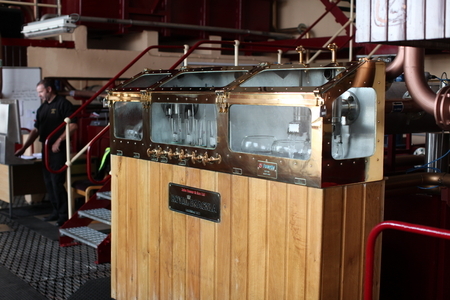 The six wooden washbacks inside have had their lids replaced with steel caps, aiding fermentation and providing direct venting for CO2. 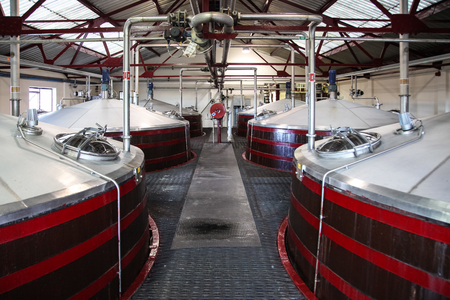 Prior to the additional washbacks being added the wort was left for a maximum of 53 hours and the spirit flavour profile was wavering on ‘nutty’. 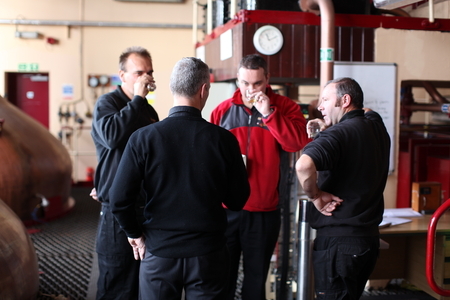 During Diageo’s tenure it was stipulated that the spirit had to be ‘grassy’ and clean. 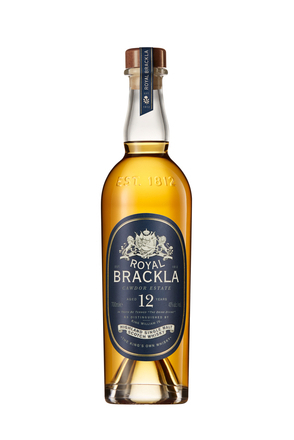 The two additional washbacks allow a long 70 to 80 hour fermentation which produces the desired grassy, slight cereal notes as well as being perfumed and ‘clean’: Royal Brackla’s signature character. 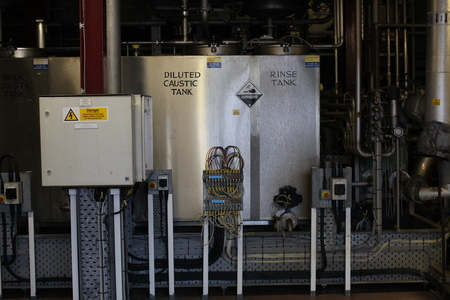 Two wash stills each 21,000 litres and two spirit each 21,000 litres capacity. 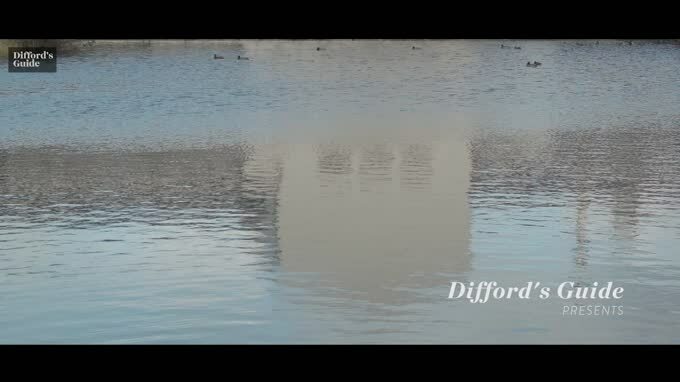 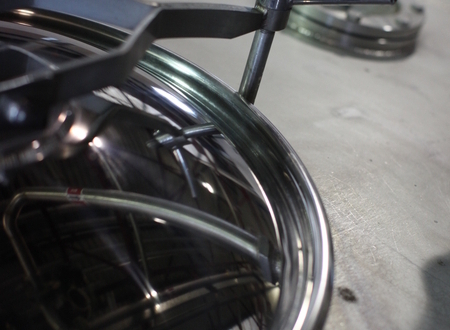 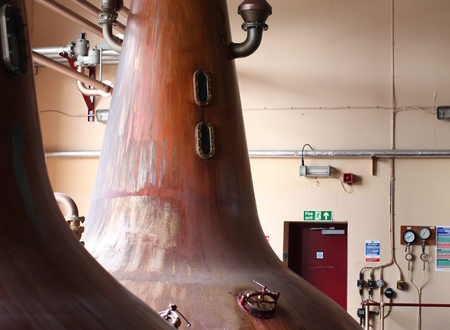 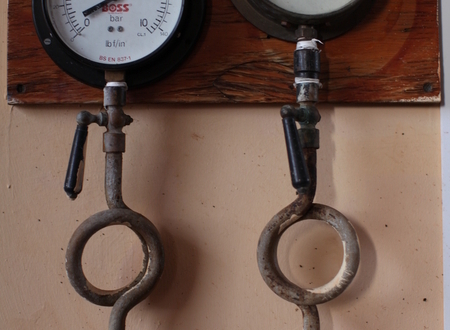 As each wash still takes 20,000 litres, each 60,000 washback provides enough fermented wash for three distillations. 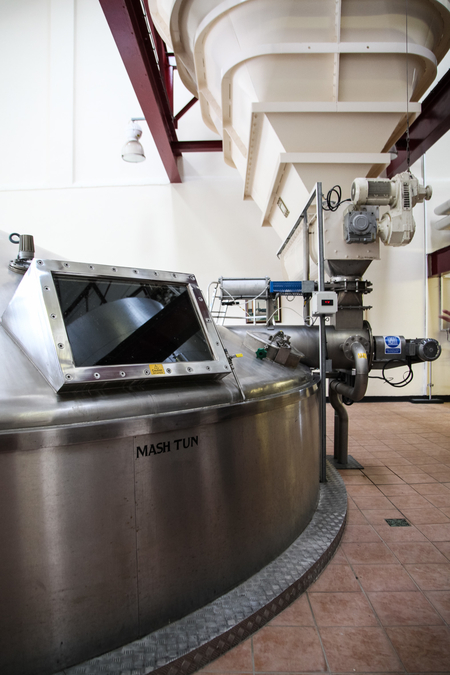 The wash goes into the wash still at 8% alc./vol. 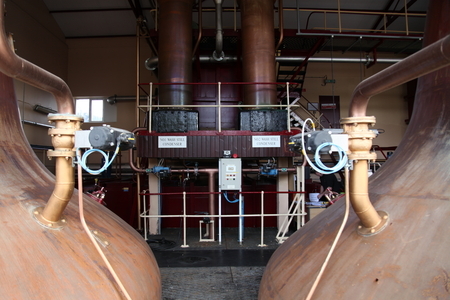 and from the initial 60,000 litres, 22,500 litres of low wines are collected at around 26% alc./vol..
Distillation in the unusually tall spirit stills is deliberately slow, with the temperature set at just 20 per cent of heating capacity, producing just 900 litres an hour. 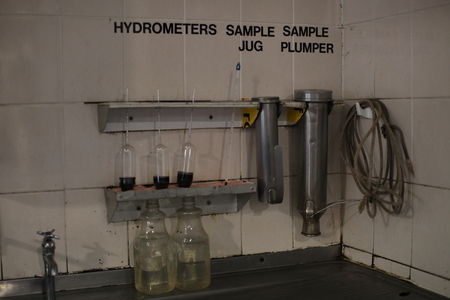 Foreshots run for half an hour before the heart starts to run and this is collected for 4-4½ hours. 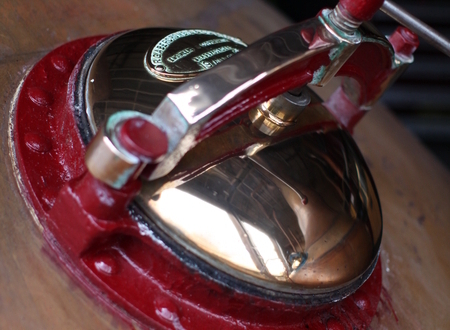 The final cut is made at 62% alc./vol.. Feints are then run down to 1% alc./vol. 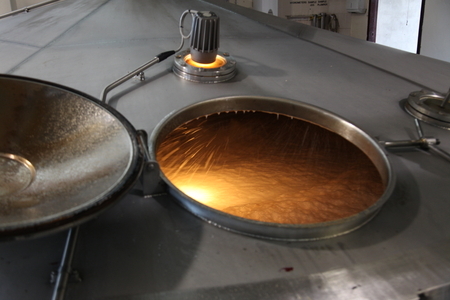 The feints, some 8,000 litres are then added to 15,000 litres of fresh low wines for the next distillation. 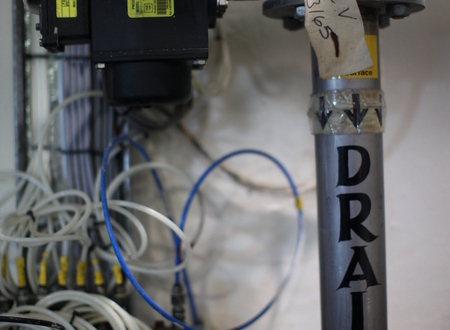 This is described as a 2:1 process. 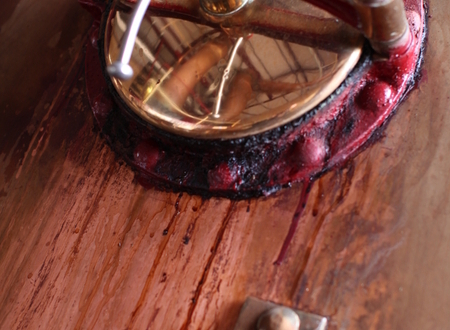 Maturation is exclusively in oloroso sherry seasoned butts.